Professors Christopher. M. Weible from the University of Colorado, Denver and Paul Cairney from the University of Stirling talk in the video below about their motivation for producing a special issue on drawing practical lessons from policy theories, and why their subject is so important. 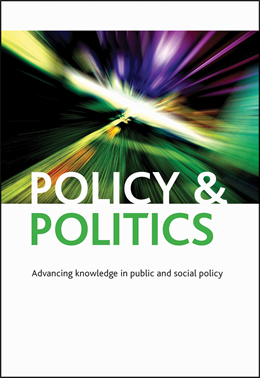 The special issue challenges policy theory scholars to translate their research findings to explain its benefits for those working within a policy context, and to encourage feedback on its quality and value. Presenting state of the art analyses of eight of the main policy process theories, they invite scholars and practitioners alike to reflect on the state of the field. Look out for forthcoming blog posts on the articles featured in the special issue coming soon. View the special issue full table of contents here. The whole issue is free to access until 31 May.